Do you know what working memory is? I’m dating myself a bit, I know. But these are a great example of how we exercised our working memory. If you wanted to make a call, you looked up the number. 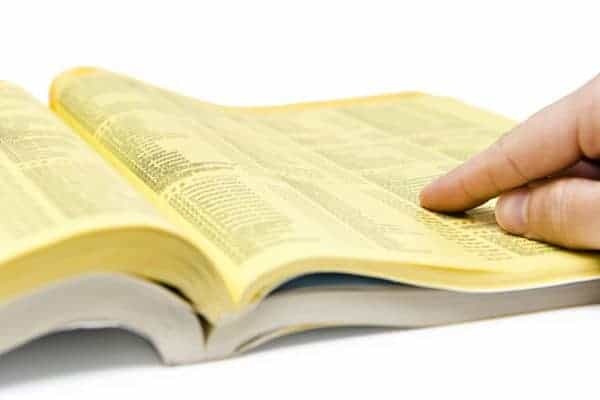 You quickly memorized it while you walked to the telephone (which was attached to the wall!). When you got to the phone, you dialed the number, recalling it using your working memory. Has it ever been raining when you went to work…but not on the way home? And then you forgot to bring your umbrella home, right? Because your working memory did not remind you! If the rain was not present to remind you to grab an umbrella, you forgot. We all do this all the time! In the morning it’s cool, so we wear a jacket or sweater. In the afternoon, it’s warm, so we forget to bring home that jacket or sweater. Throw in a few sensory issues…and it makes perfect sense why your kid came home only wearing one shoe. It happens! 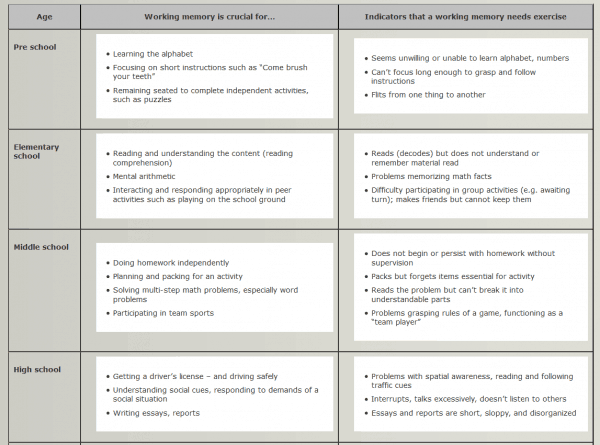 Lack of a strong working memory can often be mistaken for cognitive and academic deficits, so interventions are definitely warranted. Again, this is one of those invisible skills, or at least it is invisible if it’s present. If a person is lacking good working memory skills, then it’s very visible and often treated punitively rather than being supported. How many times do you see an adult with a phone number or short phrase written on their hand? That is their own accommodation for working memory! 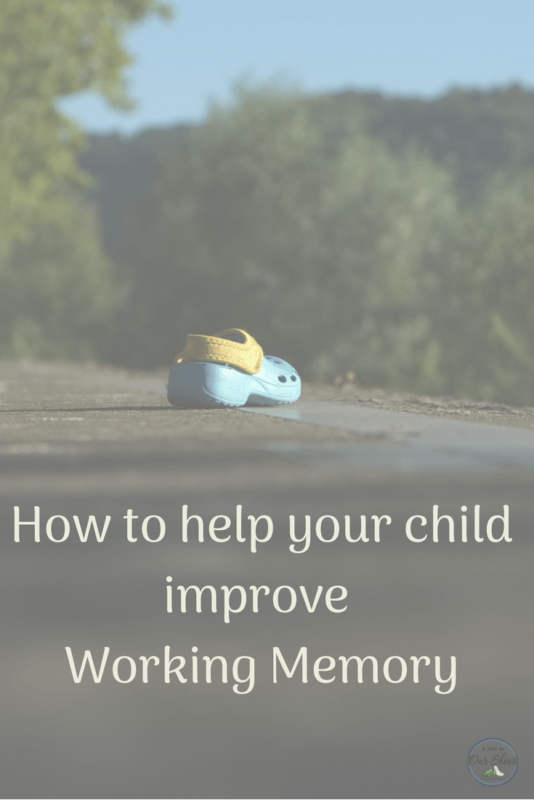 Working Memory from LearningWorks For Kids on Vimeo. 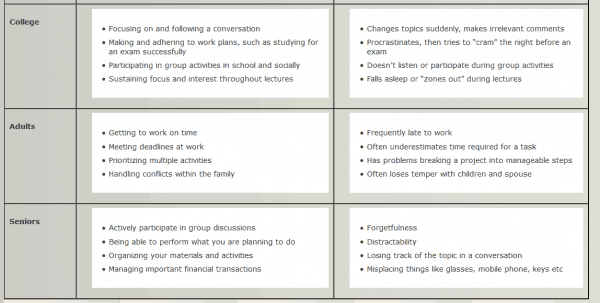 Many of us lack working memory skills, or our skills fluctuate depending on age and stage of life. When we are stressed, we forget things. When we’re sick, unhealthy, distracted, the importance of the item…all of these things can affect working memory. I can remember exactly what brands and varieties of foods Kevin will eat and which restaurants have items for him. But I cannot buy my husband a 6-pack of beer that he likes and I continually buy him the wrong packs of sushi at Wegman’s. One item is just more important to me to remember. If you’re aware of your issues, most adults compensate and find their own accommodations, such as creating a shopping list before you go to the grocery store. But if you have other learning disabilities or problem-solving is not your strong suit, the student may need accommodations and practice. 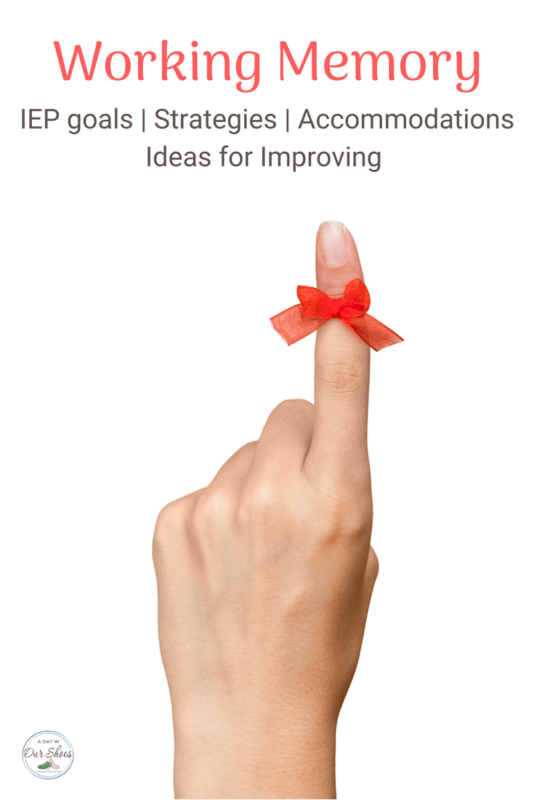 Your working memory can improve with practice. In addition to IEP goals and SDIs that address working memory, you want it to be fun. There are many categories of board games and puzzles that will exercise your working memory. A final note: I have seen so many kids who are punished for forgetting homework. Punished for forgetting to bring this or that to school, or home. Yes, to function in society, it’s important to learn working memory skills or have our own set of supports. I cannot stress enough to work with the child, get their input and ideas and suggestions. I have seen too many kids just get downtrodden and deflated, because they are punished or grounded, over and over, for something they are having trouble learning. Most kids want to improve these skills and are not just being defiant by not bringing in homework. 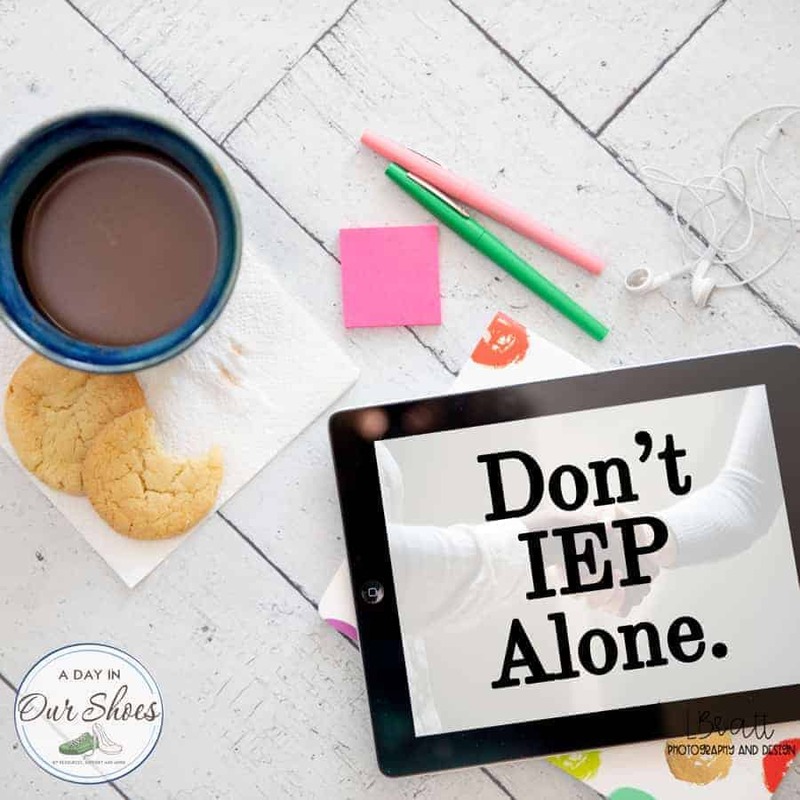 Stick with your child and get your team on board with supports and activities that help your child learn these skills….not just continually being punished for not having them.